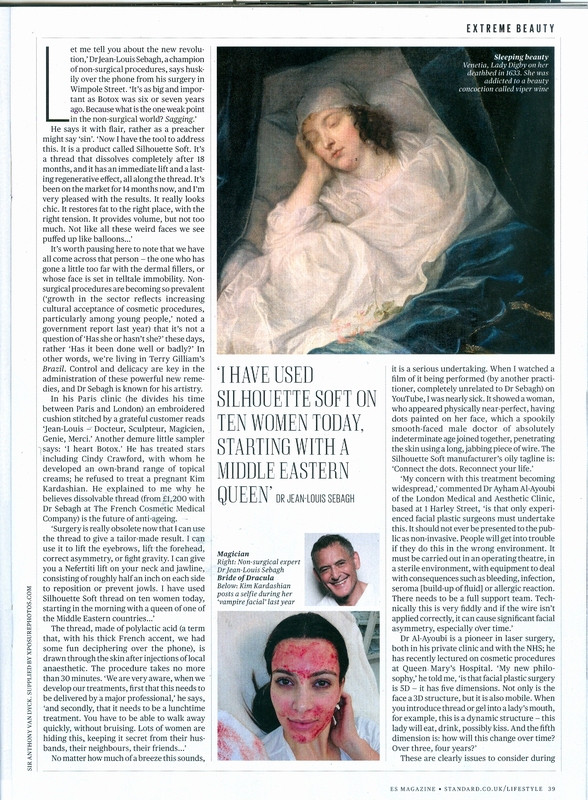 It’s always great to see positive press coverage, so I was very pleased to have been a part of this in-depth look at non-invasive treatments in last Friday’s ES Magazine. I’d also like to say thank you to Kellie at BigFashionista for her contribution. If you’d like to read the article in full you can find it here: Evening Standard: Placentas, needles and threads: non invasive surgery just got gory. 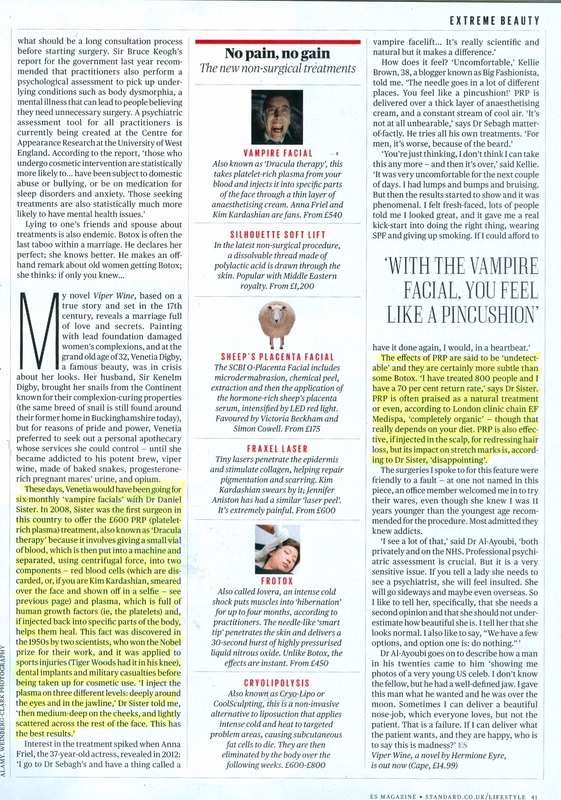 If you’d like to see photos of Kellie having Dracula Therapy, take a look here: Dracula Therapy in Photos, or you can read Kellie’s review here: Dracula Therapy in Slink Magazine.